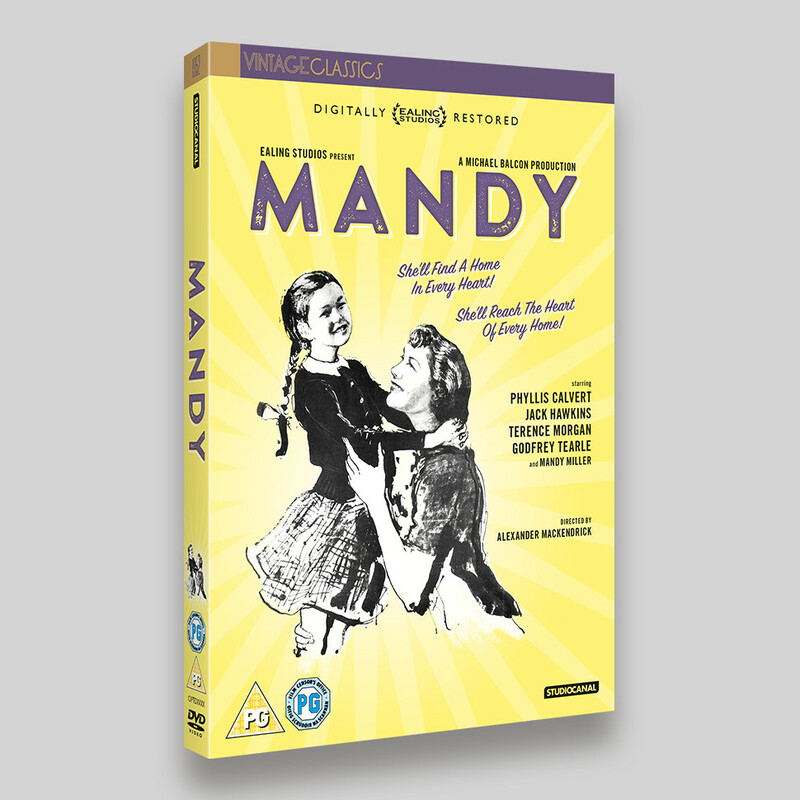 Mandy is a Digitally Restored Ealing Studios film, part of the StudioCanal Vintage Classic collection. 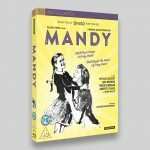 Nominated for 6 BAFTAs in 1952, Ealing classic Mandy is the heart-rending adaptation of Hilda Lewis’s novel The Day is Ours, from acclaimed director Alexander Mackendrick (Whisky Galore!, The Man in the White Suit). Born deaf, Mandy (Mandy Miller) is mute for most of her childhood. As she reaches school age, Mandy’s mother Christine (Phyllis Calvert, Mr. Denning Drives North), wants to enroll her in a special residential school for the deaf run by a dynamic and gifted teacher, Searle (Jack Hawkins, Angels One Five). But her husband Harry (Terence Morgan) disagrees, wishing to have her home-schooled. The artwork for Mandy uses an original poster image by John Ward as the main focus and combines the Ealing Studios elements with a fifties colour palette and styling. 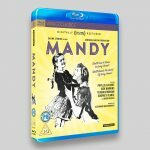 Mandy is available on Blu-ray and DVD on June 12th.